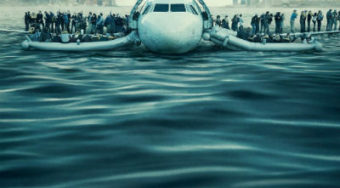 When Clint Eastwood’s 2016 drama Sully arrived in theaters, many people thought they knew the story of Captain Chesley Sullenberger. They thought they knew what happened after the heroic pilot safely landed his malfunctioning plane on the Hudson River in 2009. The film showed otherwise. It offered a revealing look back at the media frenzy and investigation that ensued after that January day. 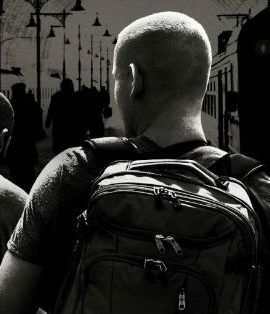 15:17 to Paris, Eastwood’s latest feature, tells a more traditional story. The new drama stars three real-life heroes who helped prevent a terrorist attack on a Paris-bound train in 2015. Alek Skarlatos, Anthony Sadler and Spencer Stone play themselves here. The three men were travelling through Europe when they prevented a terrorist from killing hundreds of people. Early on, the film flashes back to when the boys originally became friends in elementary school. There are scenes showing the youthful Alek and Spencer (played at this age by Bryce Gheisar and William Jennings) befriending the young Anthony (Paul-Mikél Williams). There are also scenes showing them at home and outside playing with toy guns. These scenes are meant to establish their friendship and their youthful indiscretions they never truly come together to show who these boys really were. When one of the friends moves away, questions about them staying in touch are simply left unanswered. Instead of answering some of the questions it poses, the screenplay by Dorothy Blyskal (adapted from the book by Skarlatos, Sadler and Spencer) simply rushes forward. There are multiple scenes (such as a discussion about ADD) that seem to suggest certain things but those concepts are never fully explored. Some of these early scenes work independently but never come together. As the story unfolds, the adult characters appear and these scenes work a bit better in establishing their characters although Anthony isn’t as fully appreciated as the other two men. Alek joins the National Guard, where he’s stationed in Afghanistan. Meanwhile, Spencer loses weight and joins the Air Force (eventually becoming a Staff Sergeant) while still longing for something more. Eastwood’s decision to cast the three heroes was a questionable one (originally, he was planning to hire actors) although the idea was a commendable one. 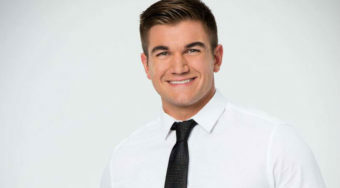 The three actors show potential (especially Alek, who previously competed on Dancing with the Stars). Unfortunately though, there are times when the acting does feel very stilted and forced. However, some of these issues stem from a script that lacks the depth that really would’ve made these characters stand out. For instance, a scene showing the men interacting with a tour guide who argues that Americans take too much credit for positive events in history feels like overzealous foreshadowing rather than natural storytelling. The actors are stuck in a scene that lacks no real development or importance. A scene showing Anthony and Spencer talking about the future works a lot better. “Life is just pushing us towards something,” Spencer says in one of the film’s quieter and most impactful scenes. 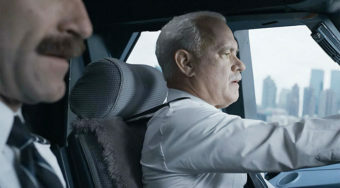 The undeniably best scene comes late in the film and shows the dramatic events on the train unfold. It’s here where the heart of the story is and both the actors and Eastwood do a great job in maintaining the necessary intensity. Aside from the three heroes, several of the people who were on the train that day (including the man who was shot and some of the officers who arrived) are portrayed by the real people, which enhances the sequence’s authenticity. It’s scenes like this that really stand out in a movie where so many threads are unexplored. It’s exciting that these heroes are being celebrated cinematically (In fact, I included this trio on a list of real-life heroes whose stories should be brought to the big screen) and the film works well enough for what it is. It just could’ve been much better. For more film and television coverage, follow me on Twitter here.